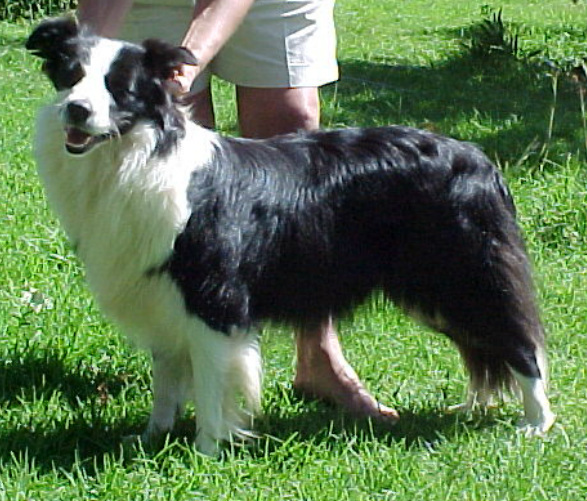 "Tilly" was imported from Australia by Hesta and Nico Vermeulen, who campaigned her successfully to Best Puppy in Show at the Celtic Breeds Speciality; Winner of the Herding Group; many Best of Breeds and was the Breed Representative to Goldfields Dog of the Year 2002. Towards the end of 2003 “Milly” (as we called her) came to us for breeding and lived with us for a number of years. She then returned to Hesta and Nico to spend her retirement years with them.